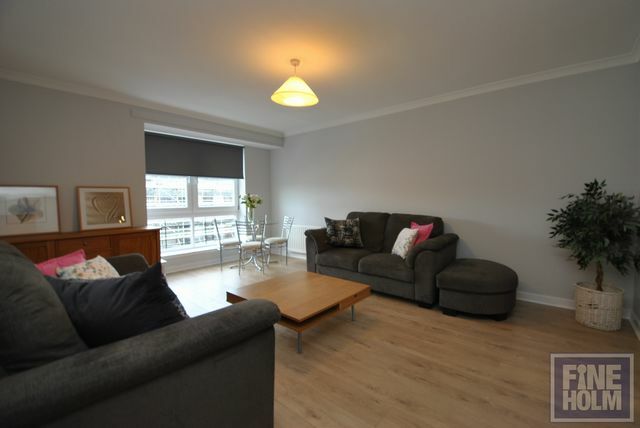 Fresh and comfortable 2 bedroom top floor flat within this popular tidy development within walking distance of the city center. This furnished flat has on street parking, secure entry and tidy communal areas and gardens to rear. The flat has entrance hallway with 2 good storage cupboards, master bedroom to front with fitted mirrored wardrobes, bathroom to rear with shower over bath, second bedroom which has been left empty ( with wardrobe) for incoming tenant to utilise as preferred, and spacious living room to the front with dining space through to kitchen. Freshly decorated with wooden flooring in living room, stylish blinds and furnishings. GCH. Double glazing.